Mn. Aquillius Mn.f. 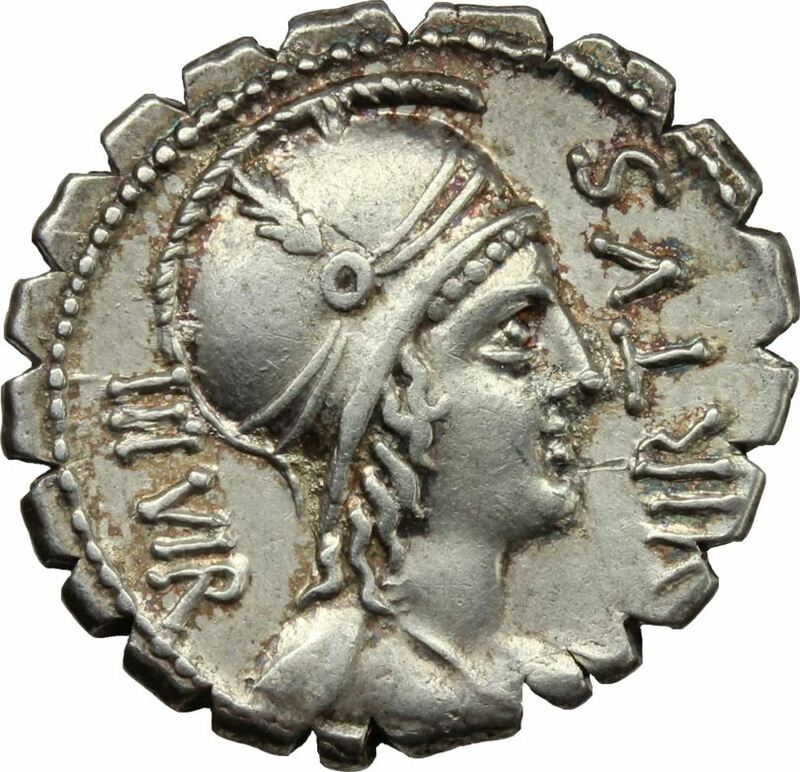 Mn.n was one of the moneyers for the year 71 BC. He was made a senator in 74 BC. Gens Aquillia or Aquilia was a family at Rome with both patrician and plebeian branches. This gens was of great antiquity. Two of the Aquillii are mentioned among the Roman nobles who conspired to bring back the Tarquins, and a member of the house, Gaius Aquillius Tuscus, was consul in 487 BC. The nomen Aquilius or Aquillius is probably derived from aquila, an eagle. On coins and inscriptions the name is almost always written Aquillius, but in manuscripts generally with a single l. The oldest branch of the family bore the cognomen Tuscus, suggesting that the gens may have been of Etruscan origin, although the nomen of the gens is indisputably Latin, and the name Tuscus could have been acquired in other ways.